AMS 2750E is the current governing pyrometry specification in the thermal-processing industry. It covers temperature sensors, instrumentation, thermal processing equipment, system accuracy tests, and temperature uniformity surveys (TUS). These are necessary to ensure that parts or raw materials are heat treated in accordance with the applicable specification. 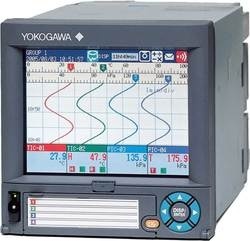 Yokogawa's TUS software meets the rigorous requirement of AMS2750E standards. Combined with Yokogawa's accurate and reliable data acquisition system, end users can easily perform temperature uniformity surveys. Based on the stability criteria and survey measurement, the software algorithm will automatically determine the survey result and generate a printable report that can be used for audit and data analysis. In addition, software allows users to save multiple profiles. 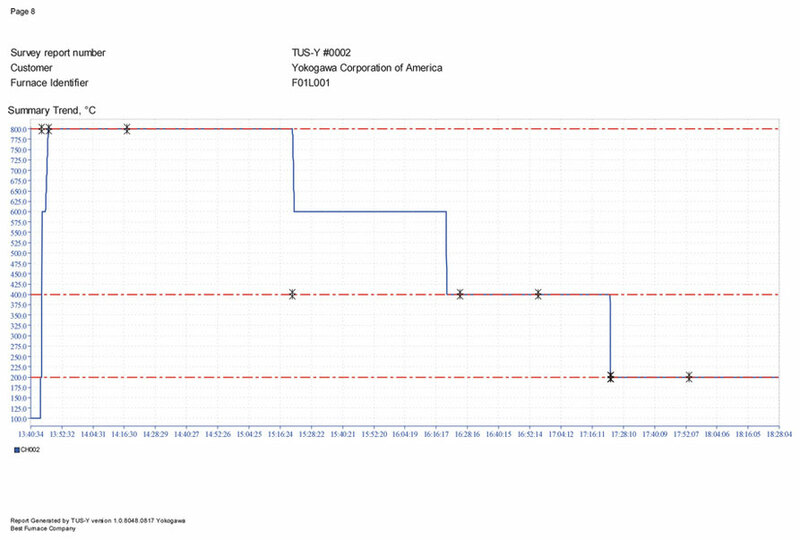 Yokogawa TUS's intuitive navigational panel guides users through the steps of creating a TUS report. The 2 level tabular navigational layout makes it easy to navigate and the dialogue window prompts the users for required information. Users have the flexibility to drill down to any tabs in the navigational panel at any time. 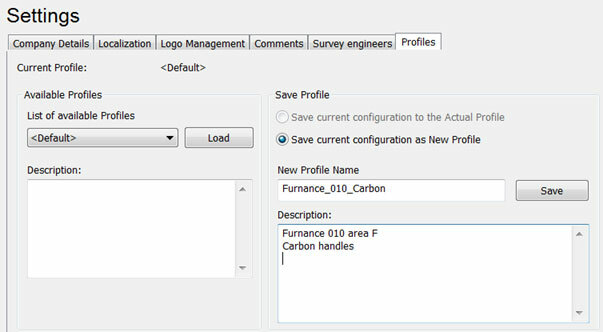 Users can create and save specific profiles for each furnace under profile management. All information entered in any section of the dialogue window will be saved. 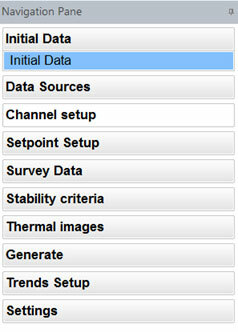 If a TUS survey shares similar meta-data information as a previous TUS survey, user can load the previous TUS survey profile and save it under a new profile. This feature saves time by preventing redundant data entry. 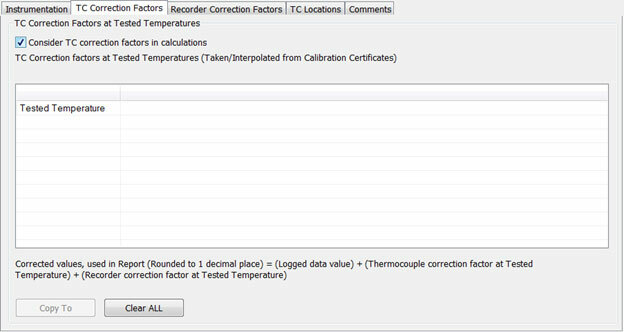 Instrumentation calibration correction value can be retrieved automatically from the software via the recorder's data files. 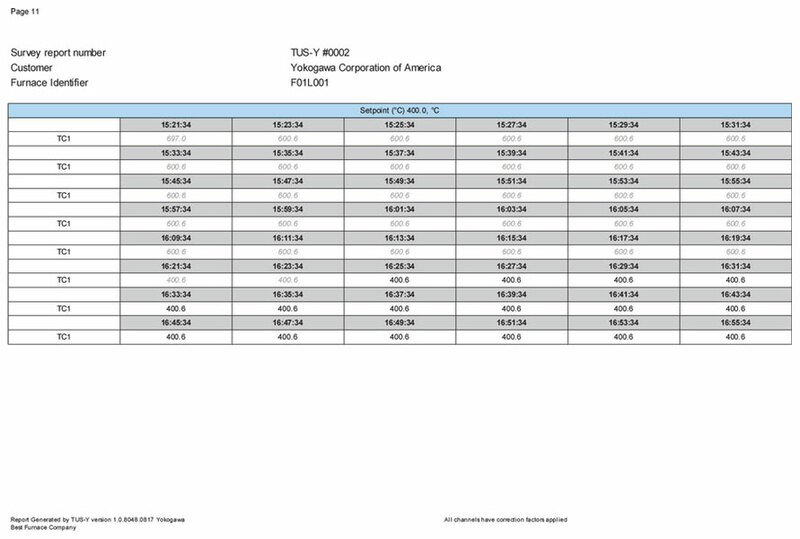 If required, the instrumentation calibration correction value can be entered manually. 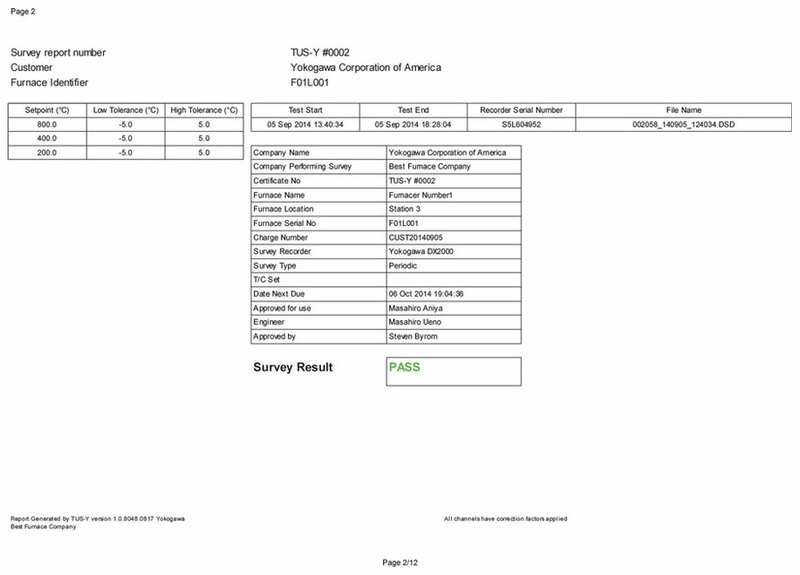 Additionally, raw data (control) and corrected data (survey) can be shown seperately on the report. 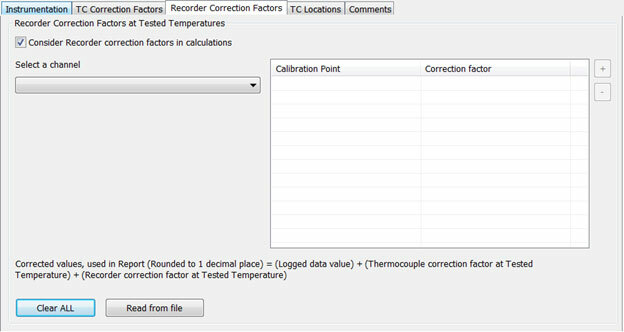 Thermocouple calibration value can be entered manually in the software. 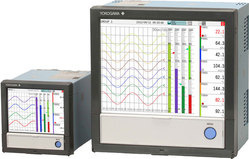 Yokogawa TUS software supports the following lineup of Yokogawa's data acquisition system. 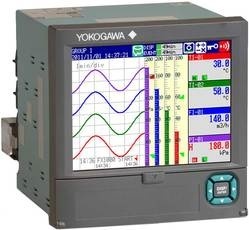 Yokogawa's data acquisition lineup complies with AMS2750E instrumentation standards. The report also allows users to edit the header and footer of the report template to include individual company logo, information and comments. 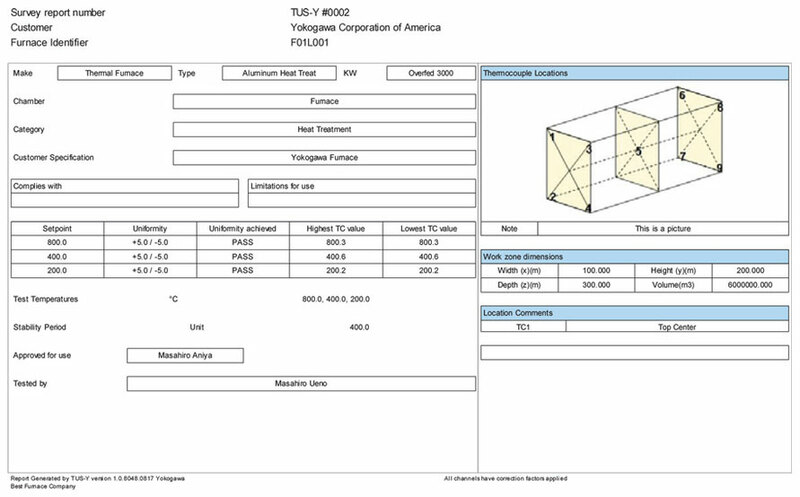 Furthermore, the report allows users to import up to 6 images of the vacuum furnace.